The Republic's financial system - one of the world's largest and a systemically important one - is "highly developed, and well regulated and supervised", and its current regulation and supervision "are among the best globally". Such was the laudatory evaluation of Singapore's financial system by the International Monetary Fund (IMF) in an assessment conducted under its Financial Sector Assessment Programme (FSAP). The Fund conducts such assessments of key financial centres every five years. Its report on Singapore was released last night. While it found much to praise, it also suggested that Singapore needs to enhance its existing frameworks, further develop its crisis management arrangements, and remain vigilant over credit growth. The IMF noted that overall compliance with all supervisory standards - banking, insurance, securities, and financial-market infrastructures, notably for over-the-counter (OTC) derivatives - were very high compared with other major financial sectors. For example, banks' capital requirements are higher than those established by Basel III, and there is a clear legal framework for capital-market activities. It said that crisis management and resolution arrangements are generally strong here - with responsibilities being clearly allocated among several public bodies - with the necessary legal framework in place. However, it added that the resolution framework needs to be reviewed and strengthened, to enhance the operational independence and the efficient resolution of issues by the Monetary Authority of Singapore (MAS), which oversees the entire financial system. One weakness it noted was "the allocation of certain resolution tools to the minister-in-charge (which) may compromise the operational independence of MAS in resolution matters". It also said that Singapore's arrangements for cooperation in cross-border resolution are broadly in line with international best practice, but that it could enhance these and mitigate legal risks arising from conflicts in laws from different jurisdictions. The IMF team also noted that, while Singapore is exposed to a broad array of domestic and global risks - especially in the light of its interconnectedness with other financial centres - its stress tests have found that banks and insurers can manage these risks. "This reflects banks' large capital and other cushions, and the decisive macroprudential actions taken by the MAS to address the threat of a bubble in the housing sector. 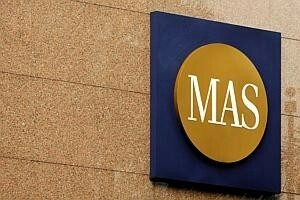 "Moreover, the MAS has sought to address potential spillovers from other major financial centres by converting large retail branches operating in the domestic market into domestically incorporated subsidiaries, and by pressing in international fora for greater sharing of supervisory information on global systemically important financial institutions. "Looking forward, the analysis suggests the importance of continuing to monitor closely cross-border interbank liabilities, and also of continuing to adjust macroprudential measures in response to domestic housing market conditions," it added. It noted that bank regulation and supervision is of a high calibre, but that there is room for improvement in some areas. For example, even though the stress tests proved that banks' funding gaps appear manageable, the IMF said that liquidity shortages in foreign currency could affect some banks under very adverse conditions, and that the MAS should therefore closely monitor liquidity coverage ratios on an individual foreign currency basis. The IMF team also said that "the structure of the MAS board, which includes several government ministers, was considered by assessors to be potentially inconsistent with full supervisory independence, and consideration should be given to addressing this situation". As for Singapore's capital markets, the IMF team said they do not appear to pose material threats to financial stability. It noted that enforcement is effective, but that shareholder protection - in regard to participation in corporate decision making - could be strengthened to meet standards set by the International Organization of Securities Commissions. As for Singapore Exchange's performance, in particular, it noted that "self-regulation by exchanges remains an integral part of the regulatory framework and is subject to effective supervision". The IMF team also noted that the MAS should continue intensive monitoring of the asset management industry, particularly the operations of hedge funds and prime brokers, in order to minimise reputational risks. Responding to the assessment, the MAS said in a statement that it will review the recommendations and take appropriate measures. Ravi Menon, its managing director, said: "The FSAP is a rigorous and comprehensive programme. It provided us the opportunity to be independently benchmarked against international best practices and to evaluate policy actions to address any vulnerabilities in our financial system. The assessment is a testament to the MAS's long tradition of prudent regulation and supervision."